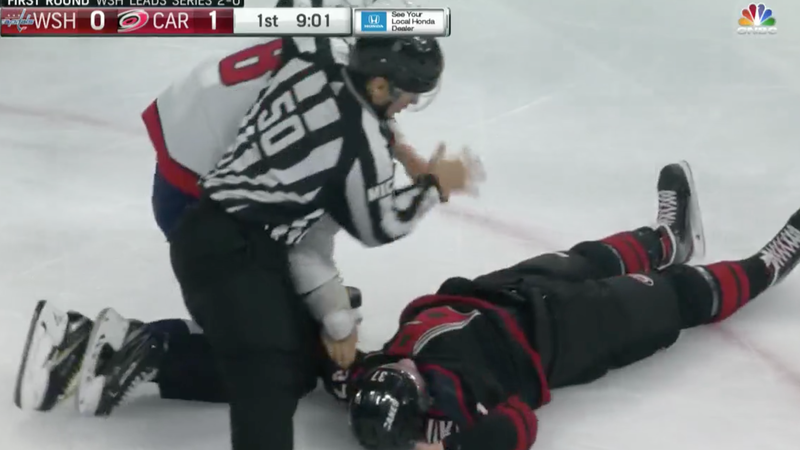 Svechnikov was out of his league in this bout, and Ovechkin pummeled him with a barrage of quick rights, doing such damage that analyst Pierre McGuire shouted for trainers to go help the Hurricanes forward as soon as he hit the ice. Svechnikov left the game, and he’s almost certainly getting checked for a concussion right now. Update 8:12 p.m.: He’s done for the game with an “upper body” injury.